If you ever wondered what a K1200LT looks like when naked, here are a few pics courtesy of Sascha Leitz. This is the "pre" K12LT! 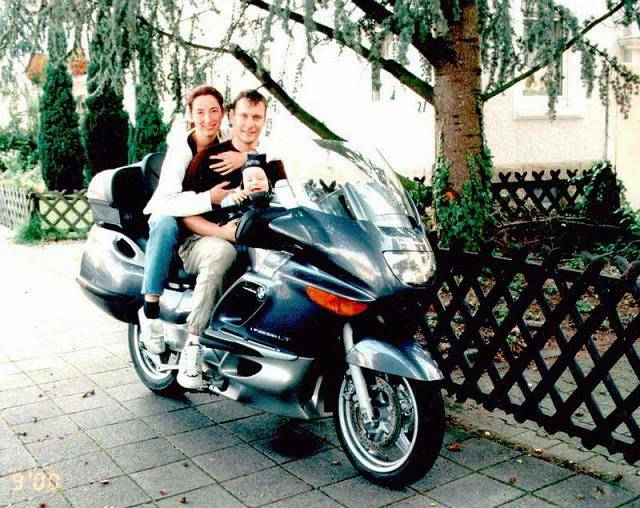 Sascha, being a professional painter decided to paint the bike himself. The most difficult part so far is having to mask the WHOLE bike just to paint the saddlebags and top case, because these cannot be removed from the bike!!!! If you wonder if he will be able to find his way through the 34.875.992 bolts 8.734.665 nuts and other spares to reassemble those things back on the LT, we will have to wait and see!!!!! 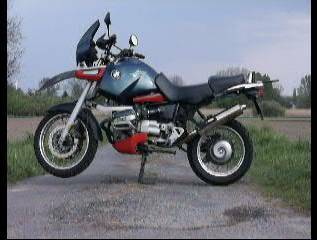 Also from Sascha, his own R1100GS in video, complete with glorious sound! The file is in MPEG1 form and it's about 3.43 mb large! Right click on the pic above, then press "save target as..."
For comparison purposes, here's the sound of a standard R1100GS in mp3 form (1.12mb file).